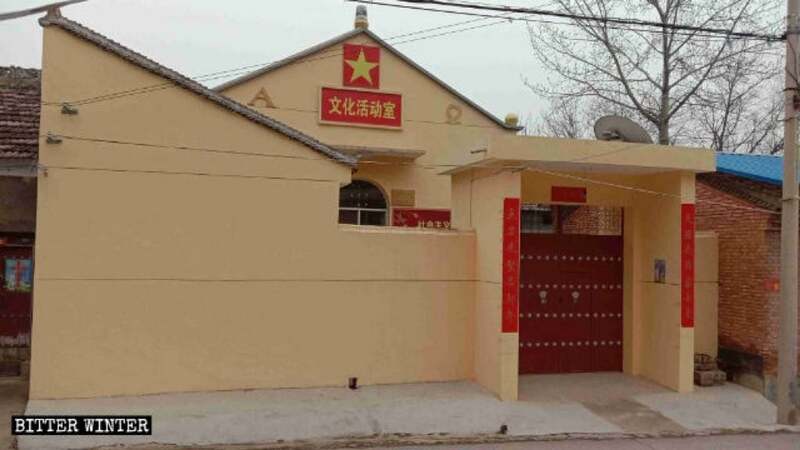 In the last year, the CCP has taken a series of measures to suppress churches and temples, including some belonging to the five authorized religions. Protestant and Catholic churches have been demolished or shut down, crosses have been dismantled. These measures, however, often cause a public outcry. 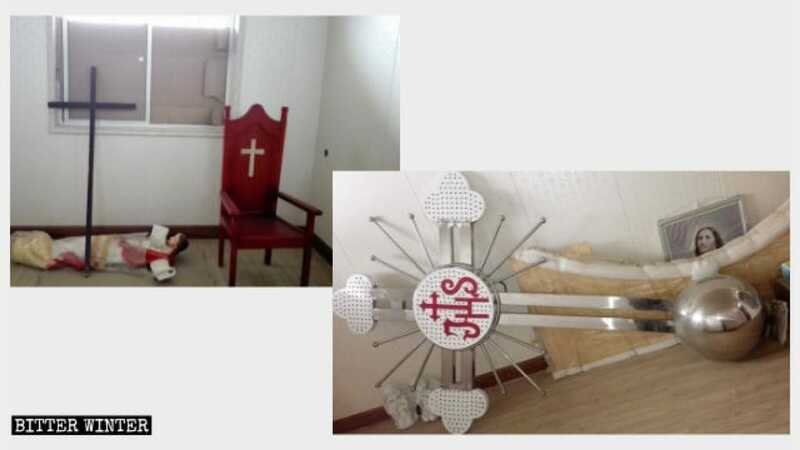 To avoid criticism, the CCP is experimenting with more subtle ways to put churches out of operation. Bitter Winter has repeatedly reported how Three-Self churches were converted into factory or other secular enterprises. 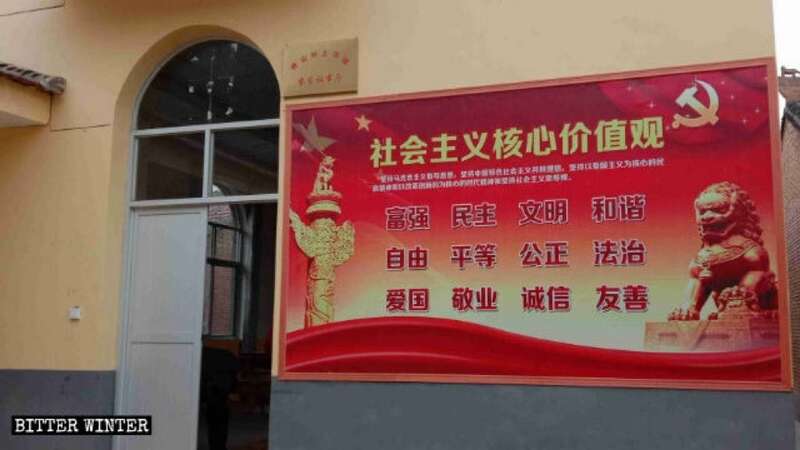 In the last few days, Bitter Winter has visited several Catholic churches in Qishan county, which is under the administration of Baoji city in Shaanxi Province. We found that, while the churches have not been demolished, their appearance has been altered. 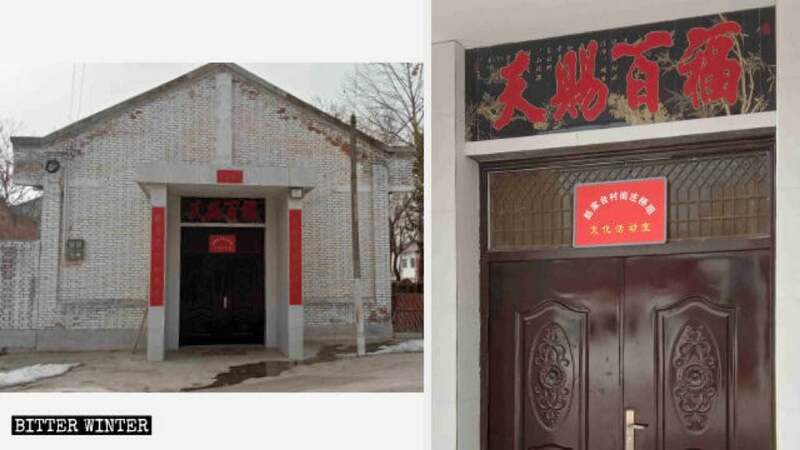 One has been converted into a community center. Hanging on the wall inside the church was a sign depicting the “core socialist values.” And it is prohibited to hold any religious activities in the church. “If we find you holding mass at the church, the church will be immediately demolished!”, the authorities warned. After the cross had been dismantled, local government personnel not only threatened the church’s president, but also frequently sent village officials to carry out surveillance and investigation about whether believers were continuing with religious activities in the church. As a result of this long-term surveillance, now believers no longer dare to enter the church for worship. 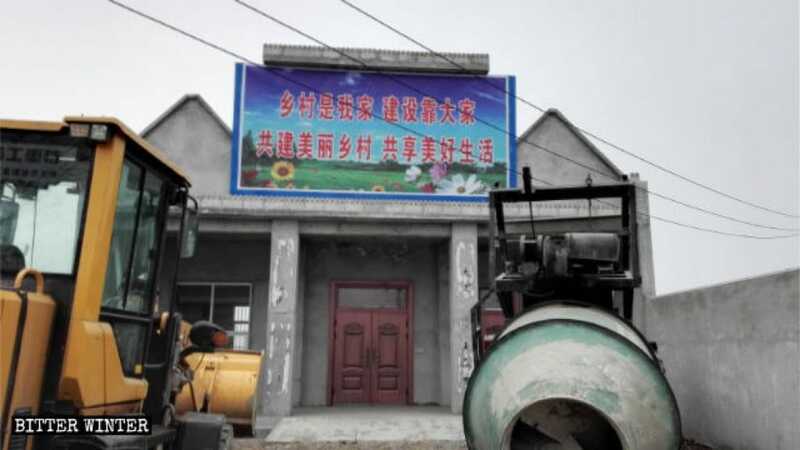 The cross and religious symbols of another Catholic church in Qishan county have been removed. One local Catholic believer told me that the church’s cross had been forcibly dismantled in early August of last year. Prior to its removal, the authorities threatened to demolish the church, to coerce believers into removing the cross and eliminate all religious symbols from inside the church. This is a familiar strategy. Removal of the religious features of the building is offered as an alternative to demolition. However, once the religious symbols have been removed, believers are told that the building is now a “community center” and cannot be used for worship purposes. The “Farmhouse Council Chamber” sign has been hung up, and a large propaganda poster of the “core socialist values” has been posted on the outer wall. Despite the fact that these churches were built by believers, they have lost the right to use them. Now, believers have no place to conduct religious activities. All they can do is to pray in secret and hold Masses in private homes.